Yesterday a brief storm hit the San Juans with several inches of snow along with howling winds. Today we ventured up high to see what kind of powder we could find amongst the wind-scoured terrain. Expecting the sunny warmth of March, we were greeted with chilly 16ºF temps and gusty breezes in the morning. Burrrr! 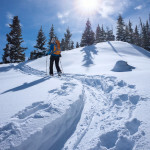 Of the three lines we skied on various aspects, the second was the one, with about four inches of fresh snow topping the perfectly smooth southern crust – kind of like riding powder on top of a groomer. Not quite the motherload of all powder lines, but a worthy find nonetheless. 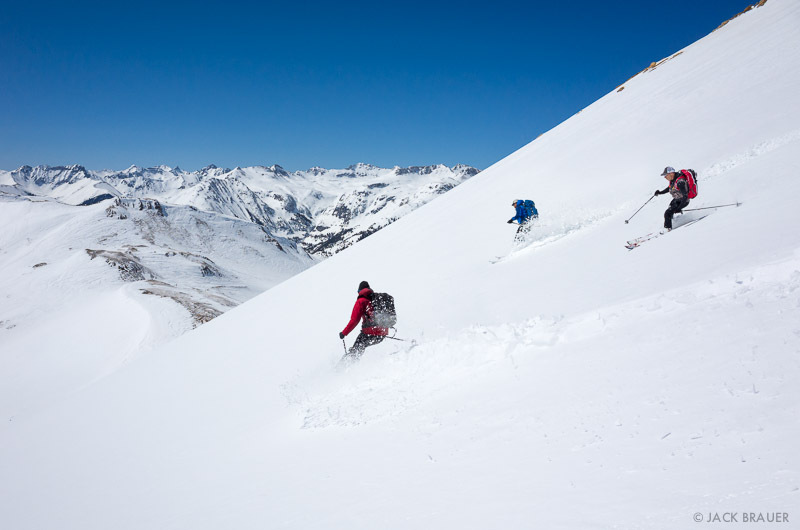 Posted in Colorado, Skiing/Snowboarding and tagged Colorado, San Juans on March 16, 2014 March 16, 2014 by Jack Brauer. 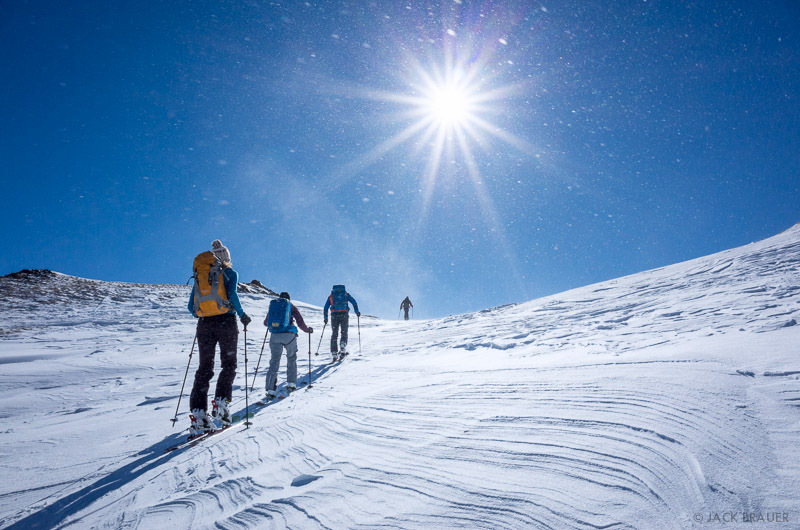 ← Previous: "Return to Winter"
Nice composite shot, good to know you guys are being safe out there! 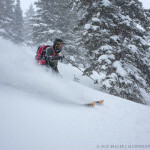 How are the avy conditions down in the San Juan’s by the way? Been thinking about coming down in April.